When it comes to summer meals, there’s nothing better a picnic with family and friends! They’re super fun and a perfect change of pace from eating indoors. Wherever you choose to picnic—the local town park, the beach or even your very own backyard—enjoying the summer sun and eating with loved ones is a great time. There are three crucial pieces to every picnic dish: it should be easy-to-pack, good-for-you and of course, delicious! With this in mind, we’ve put together a list of our favorite recipes to add to your next picnic basket. While there are endless food options to choose from, sandwiches are an essential part of every picnic basket. Sure, you could go for a basic meat and cheese or PB&J, but why not switch things up? 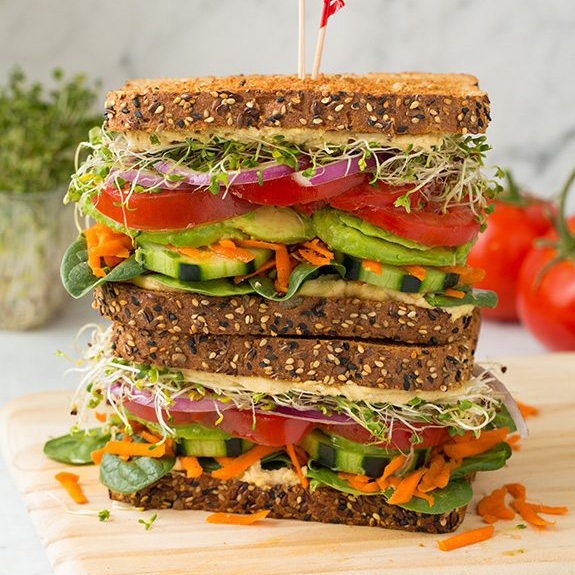 Give these homemade hummus and veggie sandwiches a try and we promise your family will be thanking you later! Every picnic should start off with a delicious dip! If you think a store-bought version is the easiest choice, this ready-in-five-minutes Black Bean Dip recipe will prove you wrong. 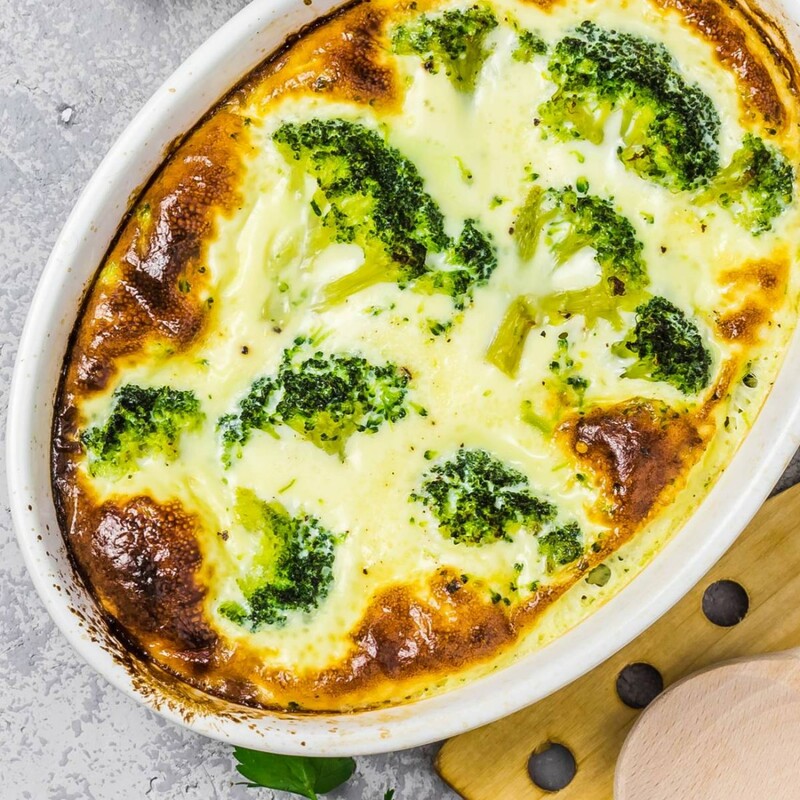 With this simple homemade recipe, you’ll be able to control the ingredients and can steer clear of any unhealthy additives. When creating your picnic packing list, don’t miss out on including a fresh pasta salad! 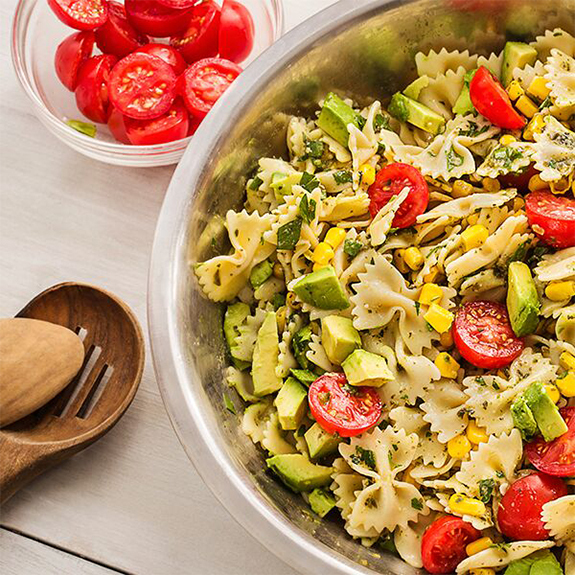 This summer-inspired recipe is super easy to make, perfect for feeding an entire family and full of seasonal flavor from sweet corn and creamy avocado. For a great alternative to potato chips, pack a batch of these crunchy roasted garbanzo beans. Even though this snack is healthy, it’ll be just as satisfying! Whether your family likes salty, savory, cheesy or sweet flavors, you can season them according to their preference. 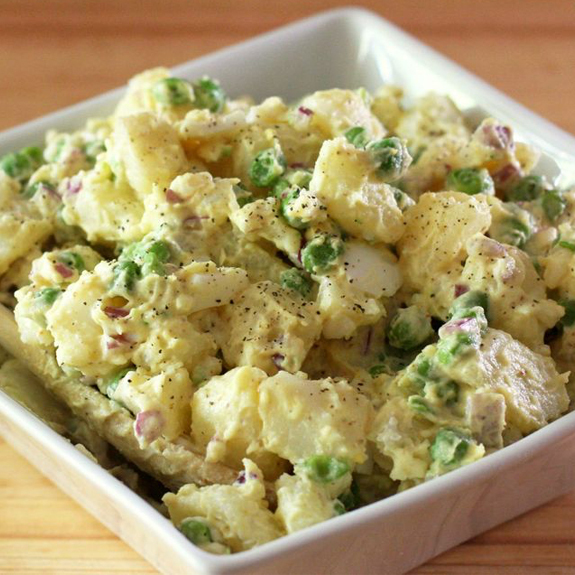 No summer picnic plate would be complete without a side of potato salad. 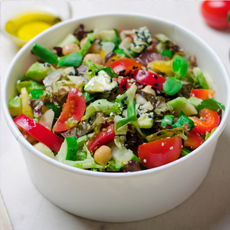 For your next picnic, try this recipe with an extra nutritional boost. 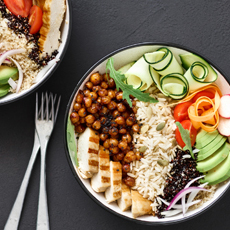 The addition of peas will deliver vitamins that are not found in a classic recipe. 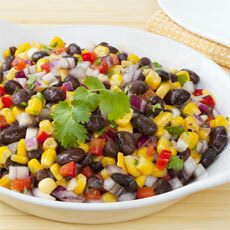 Plus, the peas will also enhance the dish by adding vibrant color and fresh flavor. When preparing for your picnic, don’t forget that dessert is just important as the main course! This healthier spin on brownies is an ideal choice —they’re easy to take on-the-go and make together with your kids. They’ll love helping you prepare for the picnic, and especially love eating the delicious treat. 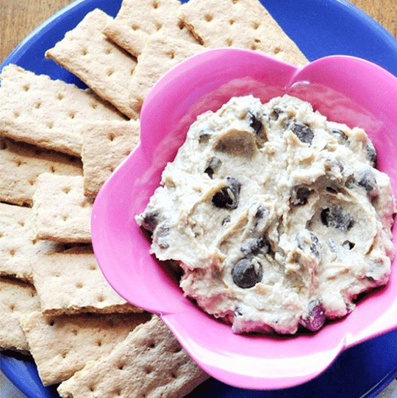 You won’t believe the excitement on your family’s faces when you pull this edible cookie dough dip out of your picnic basket! This sweet dip will be so tasty, they won’t even realize it’s made with healthier ingredients. We hope these seven recipes have inspired you to go outside and have your own family picnic. If they have, we’d love to hear which dishes your family added to their basket. Share your photos with us on Facebook or Instagram and we just might share them with the rest of the Green Valley Community!